For many, seeing the worth of Band on the Road doesn't take any convincing. From either a sports or band perspective, the added value of having a marching band in the stands goes without saying. But what if their was an actual dollar figure placed on that added value? For those who bet sports, a common refrain is that the home field is worth three points. And while that may often play out, any sports fan will tell you that not all home fields are created equal. There's a marked difference between the crowd at the Big House and the crowd at Autzen; the crowd at Death Valley (either one) and the crowd in a rented NFL stadium (either one). Some houses can be taken over by visiting fans, while others will always be tens of thousands of screaming fans rooting for the home team. But are bands part of that equation? Consider that this past weekend, two major intersectional matchups saw the road team win. Oklahoma beat Ohio State in the Horseshoe, while Georgia went on the road to Notre Dame and came away with a win. The highest rated betting sites had each home team as the favorite by as much as a touchdown, And yet the road team walked out with a victory. And in each case, they got to hear the fight song coming off the horns and drums of their very own. Both the Pride of Oklahoma and the Redcoat Marching Band traveled with their teams, serving up a slice of home in what could otherwise be a hostile environment. Did the friendly sounds of Boomer Sooner or Glory Glory help spur the team to victory? 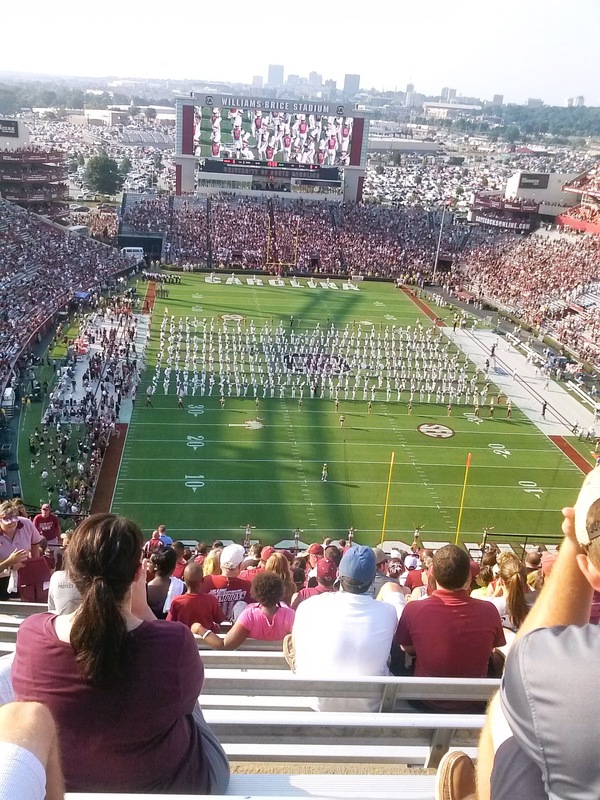 Were the road fans that much more galvanized by a marching band designed to do exactly that? I don't know what the point swing is for having a band make the trip, but I'd say it's something the oddsmakers ought to be taking into account.